Back Lane, Lisburn by Dennis Osborne. This pen and watercolour on cream card sketch is signed by the artist (1963), Dennis Osborne, and shows Back Lane just before demolition and widening. The Road became Laganbank Road. It was a narrow laneway between the gasometers and the gasworks, the chimney of which can be been seen in the background. 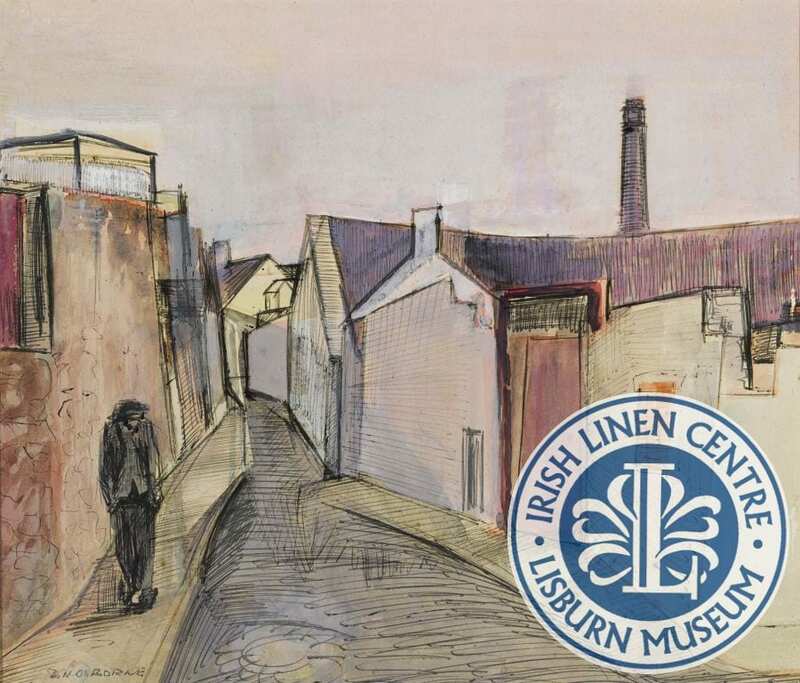 This sketch was graciously donated to the Irish Linen Centre & Lisburn Museum by the Osborne Family following the museum’s hugely successful 2017 exhibition and book ‘Dennis Osborne (1919-2016), Artist: an Appreciation’.